After the mixed reception of the recent Resident Evil games, it’s not surprising that fans were worried about Resident Evil 7. After all, it seemed to be heading in a different direction to before, with the demos emphasising stealth over action. The setting wasn’t one traditionally associated with the franchise or the characters within. And with the lack of traditional monsters in early videos, some were worried the game had moved too far from the original feel of the franchise. Fortunately though, it seems Resident Evil 7 is every bit the return to its roots that the series has needed. Indeed, whereas the games before it got a somewhat mixed reputation, this game has been getting positive review scores all across the board. Like say Destructoid’s perfect 10/10 rating. They actually give it the ‘Editor’s Choice’ award and go as far as to say it’s the best Resident Evil game in the last decade. And they’re certainly not the only ones. Other perfect ratings for the title come from publications like The Guardian (5/5), Windows Central (5/5 stars) and the Daily Dot (with a 5/5 stars), all of which consider it one of the best games of the year. That’s damn impressive! Moving a tad down the review score ladder, we then see a ton of sites who consider the game worthy of a score around the 95% mark. These include GamesRadar (with a 4.5/5 score) and EGM (with a 9.5/10) one. These sites still consider it an amazing game overall. 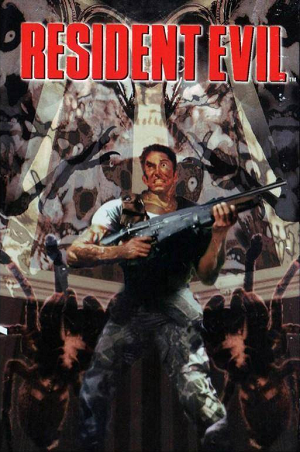 With GamesRadar saying it’s a ‘brilliant reinvention of the series’ and EGM calling it the ‘best Resident Evil game in years’. But what about negative scores, you may be wondering? Well, it seems those are practically non existent. IGN gave it a slightly lower score, with a 7.7/10 (which in all honestly is still a good rating). And Time Magazine was a bit more negative (with a 2.5/5 rating). But those are pretty much the only low ones for this title. Which is pretty impressive if you ask me. I mean, a game where the lowest score is a 2.5/5 from a non gaming outlet? Or where only one out of a hundred gave it less than 8/10? That’s a great range of scores really. So yeah, it seems Resident Evil 7 really does live up to the hype. Let’s hope Capcom builds on its design for the next few games as well! Is Resident Evil 7 Coming to Nintendo NX? 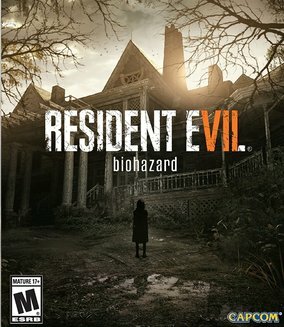 Resident Evil 7 is a Traditional Survival Horror Game!